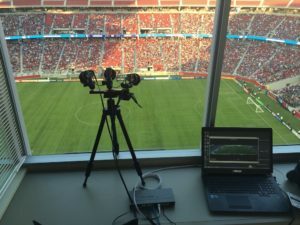 Do you want to study the Barcelona-Bayern Munich game based on statistics, instead of the Italy-Brazil game? The Match Analysis is an easy-to-read pdf document, consisting of just a few pages, which offers our customers the possibility of studying the individual football match based on the numbers. The Match Analysis summarises the 500 statistical items available for each game scouted by our technicians into a few key concepts, recommended by the managers we’ve worked with over the years and who suggested which direction we should take. Every time match scouting is performed in real time, we are able to send the Match Analysis in a simple e-mail within 10 minutes from the end of the game, allowing the manager to quickly look over the document before conducting interviews with the press. Inside, sports journalists from the printed press can find interesting ideas for writing their articles, just like the TV broadcasters with football-themed channels can use the Match Analysis for technical insights on the matches to be commented on.